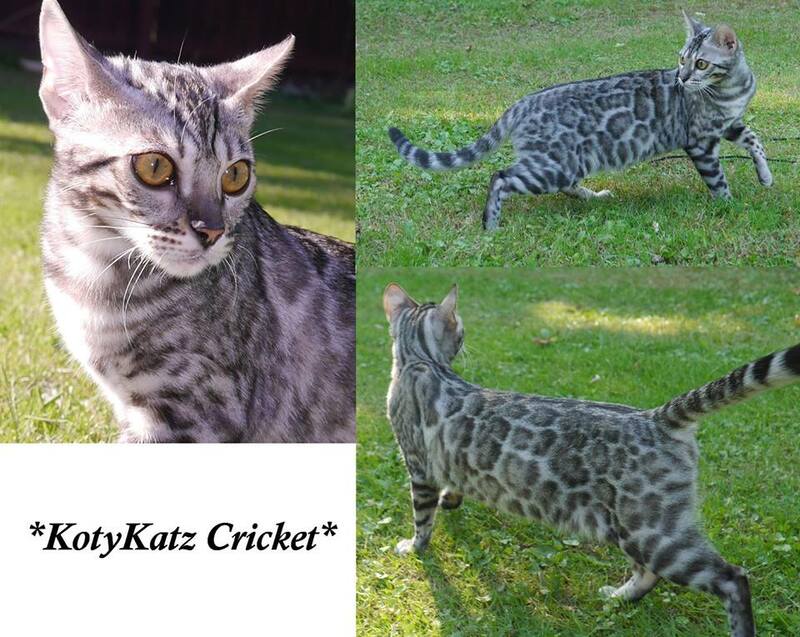 KotyKatz Cricket is a beautiful silver F2, daughter to our Tecspot Meraki of Kotykatz. Cricket has definitely inherited her mom’s wild features and beautiful pawprint rosetting. She has the added clarity and glittered coat and of her dad, Simplybengals Sealed With A Kiss. Cricket loves to play fetch with her favorite little bird toy and has been on a few kayaking adventures which she will continue when the weather warms up! 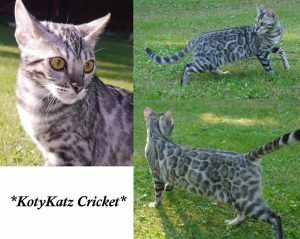 If you’d like to see Cricket’s pedigree, please click here. This entry was posted in Gallery, Reference Queens and tagged Bengal Queen, F2, Silver Queen. Bookmark the permalink.